Are you ready for a journey that is completely different from anything you have ever experienced before? An experience, that provides the ultimate off-road adventure of a lifetime? 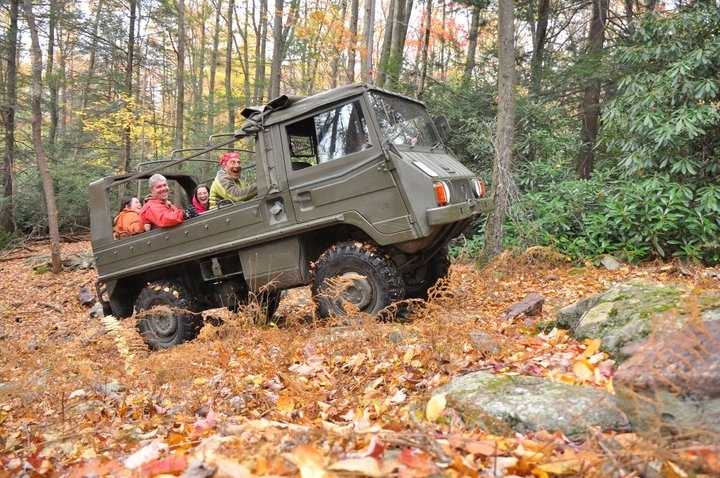 Then you're definitely ready for a Pinzgauer Tour Experience! 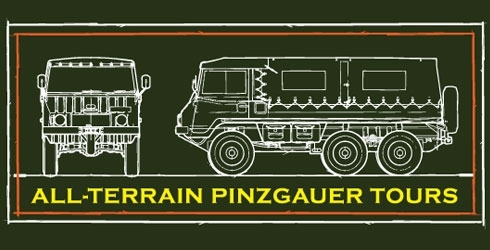 But what is a Pinzgauer? The Pinzgauer vehicle originated in Austria and, is a high mobility 4x4 or 6x6, all-terrain military vehicle that is ideally suited to providing adventure seekers of ANY ABILITY access to normally unreachable, limited access or unexplored terrains. What makes Pinzgauer tours different is the access and options for any adventure seeker of any ability above the age of 8! Ride over RUGGED TERRAINS, explore HIDDEN LAKES, enjoy EXPANSIVE VISTAS and search for ANCIENT FOSSILES all in our EXCLUSIVE PINZ PROPERTY! 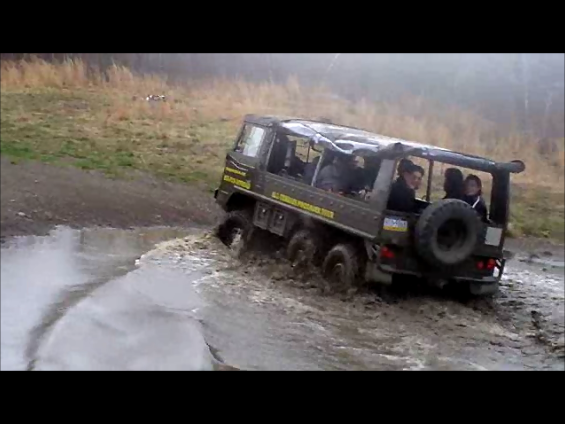 Pinzgauer Tours Roll In Any Weather and Any Season! Did we mention...PINZGAUERS LOVE MUD! 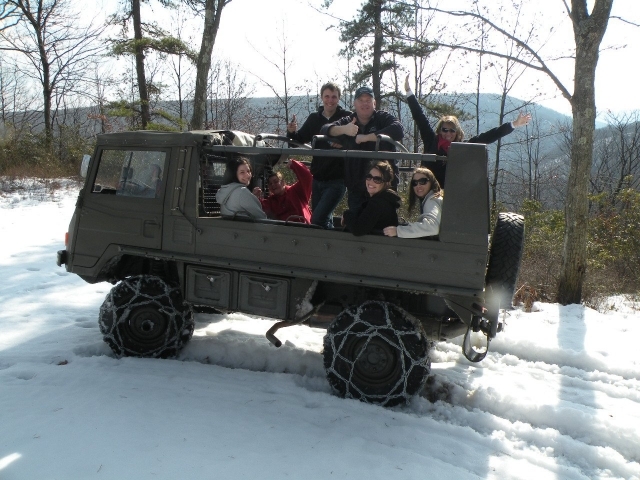 Snow's No Problem On A Pinzgauer Tour! Can you do this in your SUV? 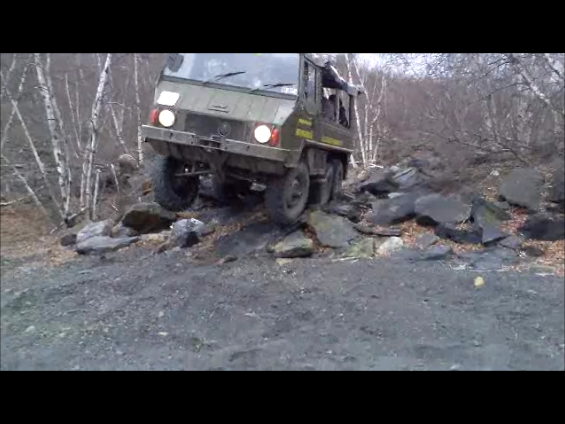 In A Pinzgauer You Can!